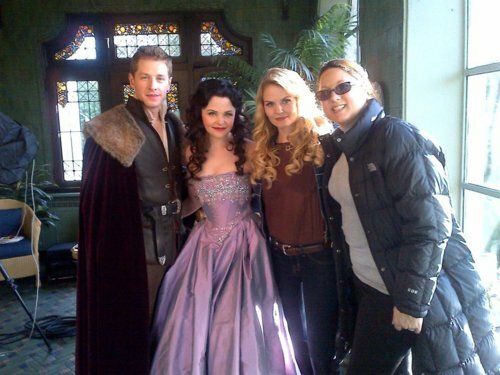 Behind the scenes of the TV Guide photoshoot with the Charmings. . Wallpaper and background images in the once upon a time club tagged: once upon a time cast ginnifer goodwin jennifer morrison joshua dallas. This once upon a time photo contains pengiring pengantin, pengiring kehormatan, and pendamping. There might also be gaun, gaun malam, makan malam gaun, formal, makan malam pakaian, gaun makan malam, and formal gaun malam.